Hop on over! Seattle Children's Museum will be hiding (and hopefully finding!) thousands of plastic eggs that are hidden throughout the Museum. Admission is limited to make sure there are plenty of eggs for each child to find and to avoid overcrowded spaces. 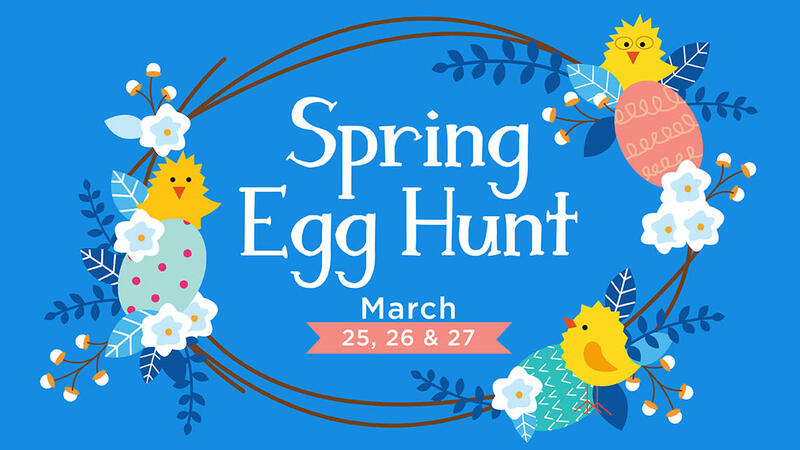 Additional activities include compound word matching games, practicing our nose wriggles as we create our own bunny ears, and a special golden egg scavenger hunt for kiddos 8 and up. The cost for the event includes the Spring Egg Hunt from 8:30am â€“ 10am, PLUS all day admission to the Museum. Visit the website for more information.